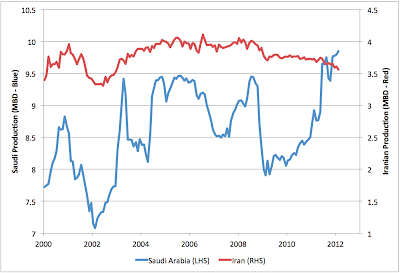 The above shows the latest estimates of Saudi and Iranian oil production, which currently go through February. 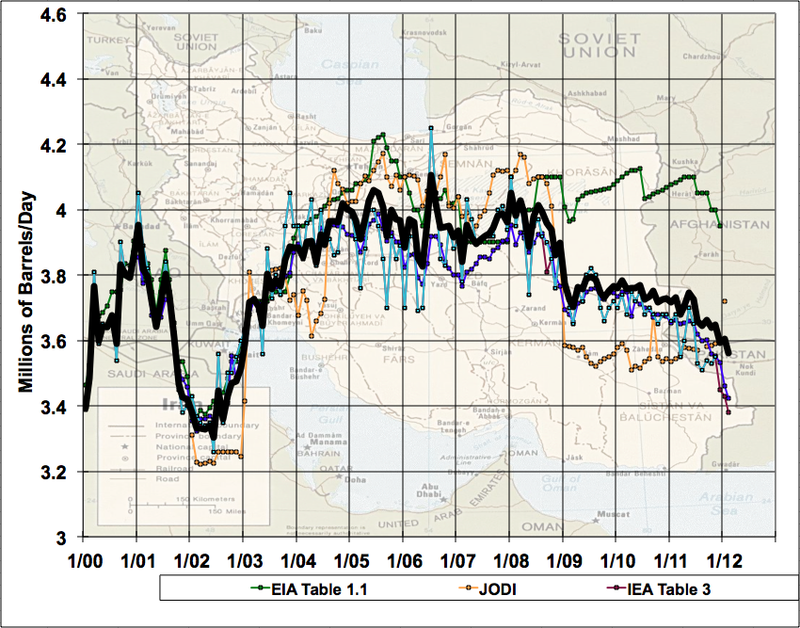 Iranian production is the red line and is on the right scale. Saudi is blue and refers to the left scale. 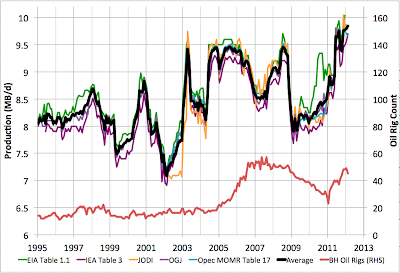 Neither is zero-scaled but the two scales are comparable so that identical changes (in absolute terms) look the same. 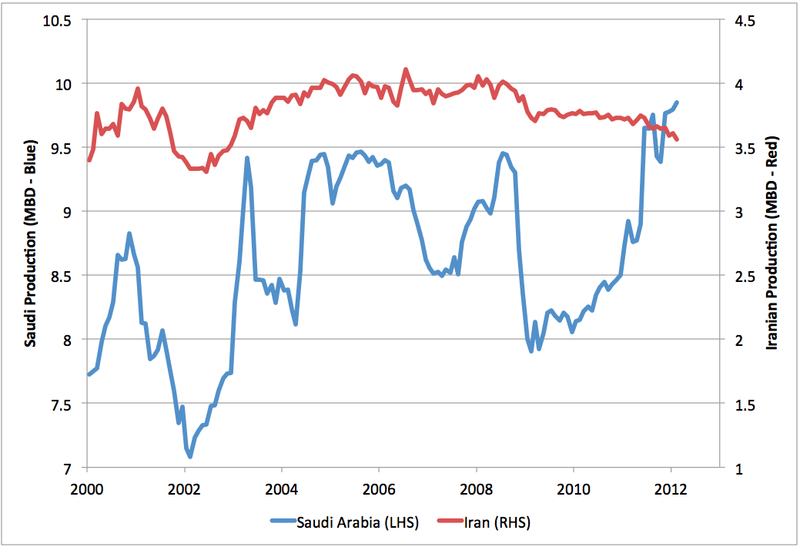 You can see that in February, Iranian production fell a little further, and Saudi production nudged a little higher. The trends are of great interest at the moment as we'd like to understand how Western sanctions are affecting Iranian production and to what degree Saudi Arabia is willing and able to make up the difference. 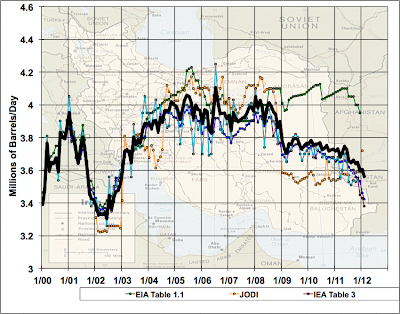 You can see that there is considerable doubt as to the exact level, but all sources say Iranian production is falling (modestly) except for the Iranians themselves who claimed to JODI a sharply increased number in January. What is the r between Saudi rig count and production? 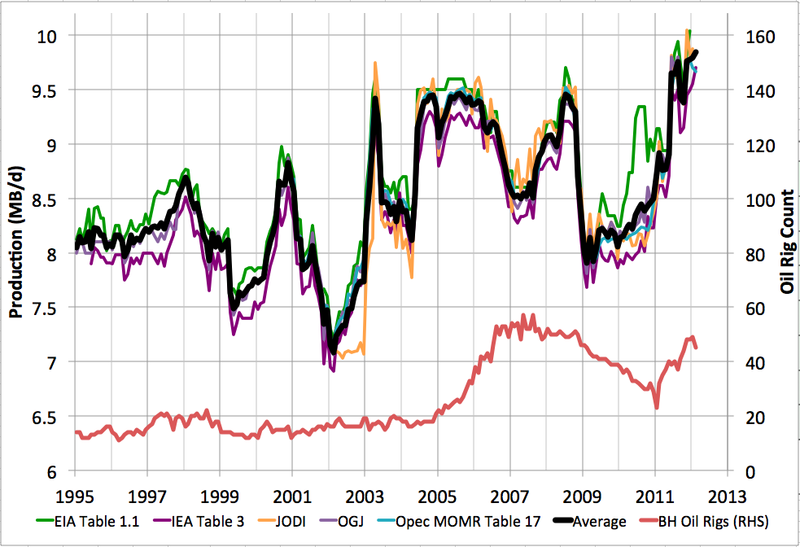 Starting in 05, it looks like rig count doubled but production didn't move at all. Kyle - you can find my interpretation of that issue here. Seems like time to update that interpretation: you guessed that their production ceiling was around 8.8, and they're now producing around 9.8.